Join us for our 9th Annual Give Your Choice a Voice Event! 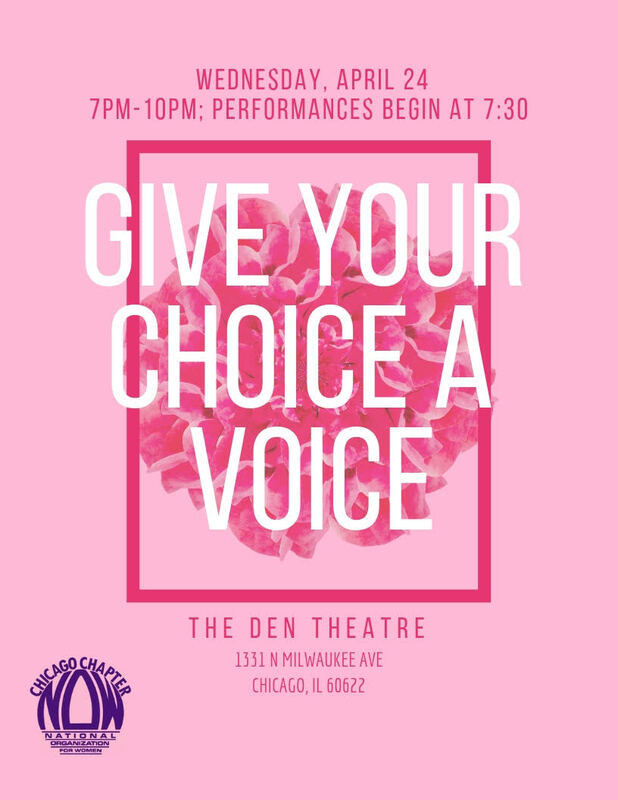 Give Your Choice A Voice is an intimate and interactive night of story-telling, music and dialogue about reproductive justice, choice and agency. Activists and audience members are invited to tell their stories about abortion, contraception, adoption and choices related to birth, gender identity and reproductive justice. This is a free event, but contributions will be welcome. All contributions will be split between Chicago NOW and the Midwest Access Coalition. A $10 contribution is suggested, but not required.